High Shine UF is a floor finish with excellent leveling and adhesion properties. 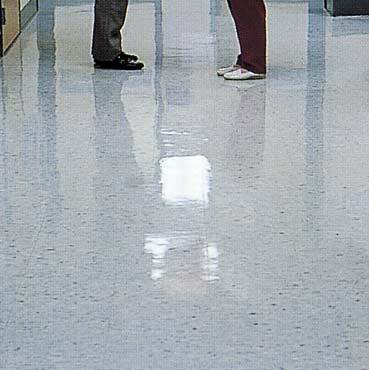 Hi-Shine UF Floor Finish provides optimum buff response with a dramatic "wet" look gloss on resilient floors. Hi-Shine 25 Gives a Brilliant Shine to VCT Resilient and Other Floors. High Shine 25 is a floor finish with excellent leveling and adhesion properties. Durable metal cross-linked polymer ensures a tough, non-powdering finish, which stands up to the heaviest foot traffic. 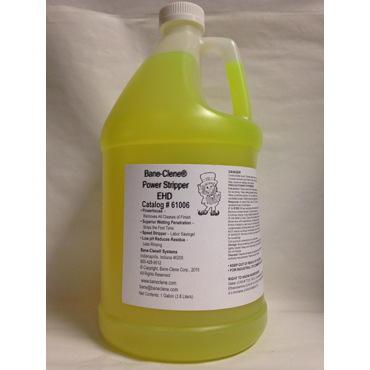 Quick drying formulation with a durable polymer designed to withstand heel marks, soil, scuffs and high foot traffic. Can be used with low, high or ultra-high speed buffers. Restrictions on Use: Professional Use Only. Keep out of reach of children. Storage: Protect product from freezing. Store in original tightly closed container when not in use. Odor: Mild, typical floor finish odor. Use pH: 8 - 9. Coverage: 2,500-3,000 per square feet. Check floor, making sure that it is totally dry and free of any old finish or stripper residue. If there is a whitish cast, this could indicate stripper or old finish still remains on the floor. If necessary, re-strip the floor. Floor temperature should be above 54 degrees F. for proper curing of finish. Pour High Shine 25 into a clean bucket. 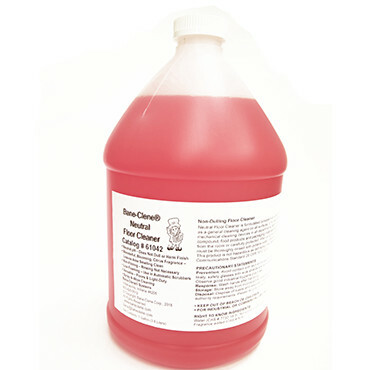 Apply polish to floor with a clean rayon mop, such as the Wood-Solv Lint-Free Mop. When applying finish, the single biggest problem that occurs is applying coats of floor finish before the previous coat has dried thoroughly. The applicator head will tear at the finish from its weight and the re-emulsify the coating. This dulls the finish and can create mop marks that are hard to buff out. Pour the High Shine floor finish into a clean bucket equipped with a wringer. If a clean bucket is not available, use a liner in the bucket so that the finish does not become contaminated. 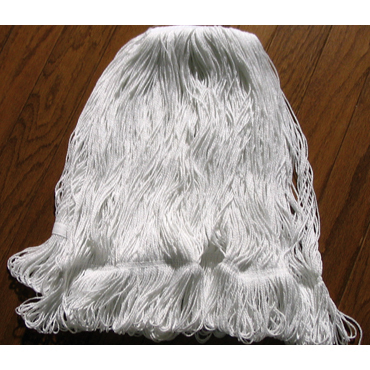 Place a medium-size rayon mop, such as the Lint Free Mop, in the finish and let soak for 5-10 minutes. A cotton mop should never be used for applying finish because it will leave lint in the dried finish. Place the bottom half of the mop in the wringer and wring out the bottom half of the mop. Avoid excessive buildup of finish in low-traffic areas by not applying finish to within 12 inches of the walls until later coats. Apply the finish in an 8-10 foot area. Frame the area by using the wet mop to make a “U” around the two long sides and one short side of the area. Starting at the bottom, fill in the “U” using side-to-side figure 8 strokes. Flip the mop over halfway down the “U” and use the other side. Do not lift the mop head while applying finish. Usually, floor finish will dry in about 30 minutes. However, this is just a general rule. Third and fourth coats take longer to dry than first or second coats. Additionally, high humidity and temperature can greatly delay drying. NOTE: Sealed surfaces require 2-4 coats of finish while non-sealed floors will require 3-6 coats. Be sure to clean and dry the mop after use and only use it for application of finish. Proper maintenance can extend the strip and re-coat cycle by several months or up to a year! Dry mop daily to remove loose dirt and impediments. Mix 1-2 ounces of Neutral Floor Cleaner in a clean mop bucket. Either mop floor with solution or use in a rotary scrubber with a red floor pad. Follow steps above. Use the appropriate colored dry buffing pad to enhance the floor’s shine. A floor should be burnished as often as necessary to return the floor to the appearance that the customer requires. Most high traffic areas are burnished each day. Before burnishing, the floor should be properly prepared: swept of all loose dirt, scrubbed or mopped. There should be an adequate number of coats of finish on the floor for burnishing to succeed. Burnishing helps maintain the clean, glossy appearance while enhancing durability and slip resistance. Never burnish a dirty floor - this only leads to a “dirty, shiny floor”! Follow steps 1 and 2 above. Reapply 1 to 2 coats of Hi-Shine 25 following the label directions for buffing after the new finish is dry. There is no “standard” charge or “going rate” for janitorial work and the going rate for stripping, waxing and maintaining resilient floors varies by region. The charge for a complete strip and wax job can run from 20 cents to 40 cents per square foot in the United States. Much depends on what contractors charge in your area, if you provide all supplies or charge the materials to your customer, the condition of the floor, if you must move chairs, tables, cabinets, etc., and other variables. For cleaning, spray buffing or burnishing a floor, the rates are usually about 1/2 the rate of a complete strip and wax.